Rear suspension Engine functions as swinging fork swingarm, linked to the frame by dual connecting rods and two radial silent blocks. Double hydraulic double-action shock absorber with preload adjustment . 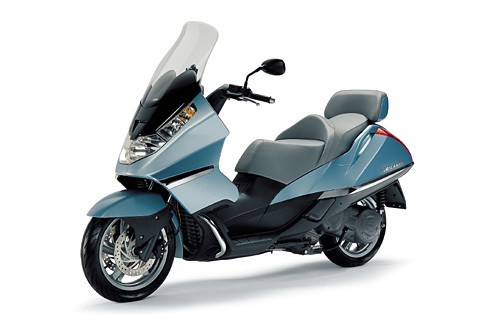 NOTE: On this page you will find ONLY Aprilia Atlantic 500 2004 motorcycles specifications specifications and details. We don`t sell this product.